← Flannel Friday – Happy Arbor Day! I remember this book from my own childhood. 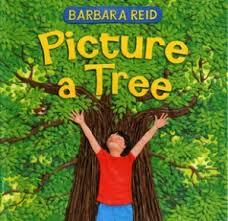 The 1957 Caldecott winner, this gentle narrative with gorgeous pictures gives a very nice overview of trees, their usefulness and beauty. This week we sang “Jump Jump Jumping!” AND later when we needed an extra break we helped the Game Cube chose “Grow a Banana” because it is everyone’s favorite! 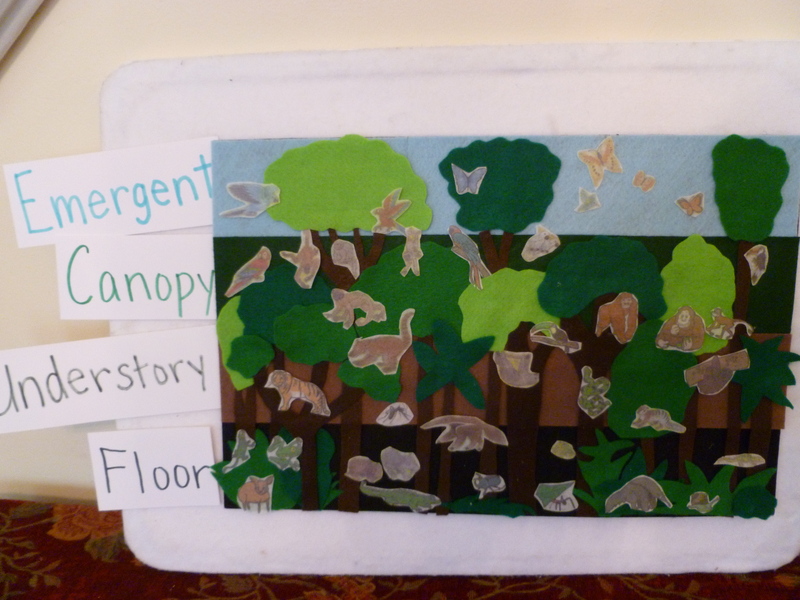 Flannel Board Game: Rain Forest! We gave our rain forest friends a home! For more details on this game please click HERE! All this talk about monkeys – we just had to play 5 Little Monkeys! The illustrations in this book are stunning! Lovely, simple text about looking at trees in different ways – I especially love the pages showing trees looking like a tunnel and an ocean. Delightful interactive book taking a tree through the seasons. 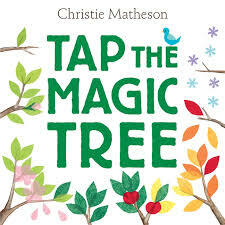 The kids LOVED this book – it was magical! Very simple coloring and gluing project. The Wiggleworms did a great job listening this week and were very sweet in letting me know when they needed a movement break. I hope to see everyone at our town Arbor Day Celebration! Reminder – next week is PAJAMA Story Time!! Wear your jammies and bring a lovey! 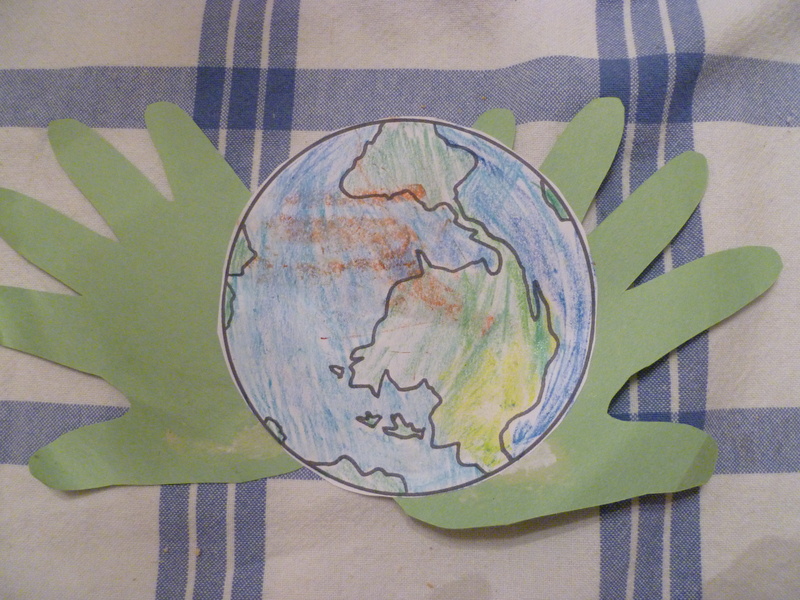 Thank you Uncle Tree – I hope you had a lovely Arbor Day! Lovely selection of books for Arbor Day! 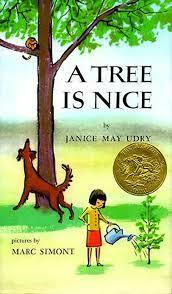 A TREE IS NICE, must be a lovely story as it is still on the shelves. I don’t remember reading it as a child. 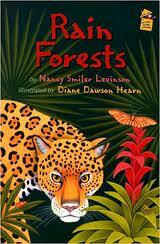 Like the Rain Forest book and your flannel board. You would never guess A TREE IS NICE is almost 60 years old! It is still relevant and timely and the kids thoroughly enjoyed it! It is a very well written book!